An exhibition at the Art Center College of Design in Pasadena, California, shines a long overdue spotlight on the life and work of designer Ray Eames (1912-1988). Curated by Carla Hartman, one of Eames' granddaughters, it offers an intimate and revealing look at the designer's world, from Ray's childhood through to her long creative collaboration with husband Charles. Ray and Charles Eames were one of the 20th century's most ingenious, enduring, and celebrated design teams, and their work as partners is well known. Hartman has drawn from the family archives, selecting previously unseen letters, sketches, paintings, photographs and personal mementos to paint a vivid picture of Eames and identify her unique contributions to the partnership. 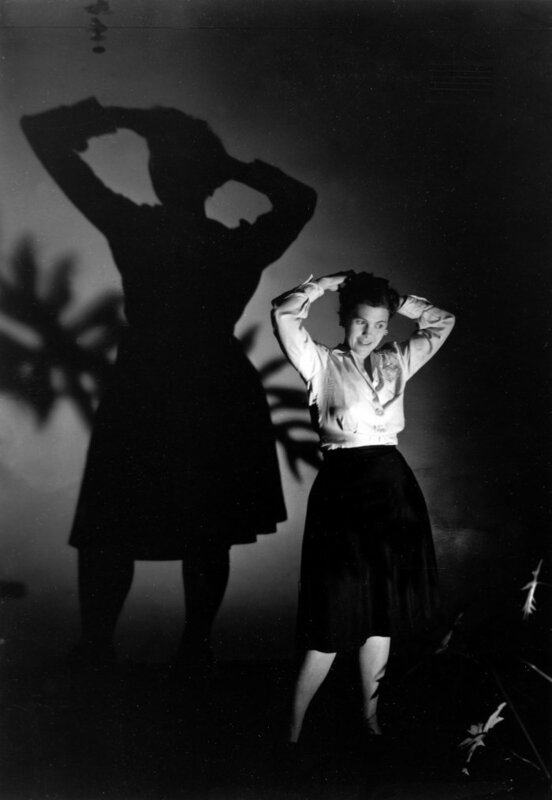 Ray Eames was born Bernice Alexandra Kaiser but was always called Ray-Ray by her family. A native of Sacramento, she and her family moved to New York's Hudson River Valley where she attended the Bennett School, earning a degree in fashion design. 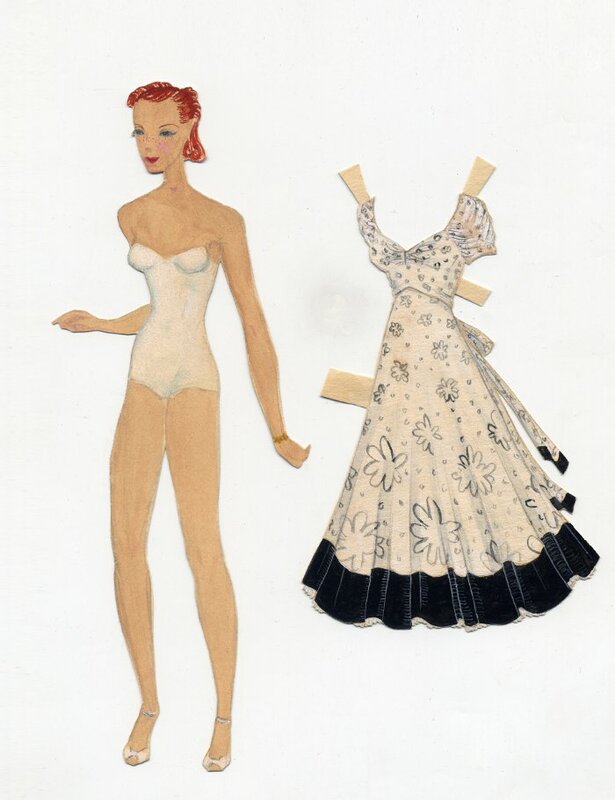 A charming series of paper dolls, which she began designing when she was only three, pages of elegant fashion sketches and examples of the clothes she designed for herself demonstrate a deep, and lifelong, love of fashion. She continued making paper dolls for the next 15 years and they grew in both sophistication and detail, often accompanied by intricate wardrobes. On a double-sided drawing of a paper doll displayed in the exhibition she notes: 'This is the model for the paper dolls. Le premiere made with red hair'. Design aficionados today recognise the iterative process -- a constant exploration and refining of possibilities -- as one of the hallmarks of the Eames' work. Witness their experiments with the single-shell molded plywood chair, which they came back to years later and created in fibreglass. This exhibition reveals that Ray Eames was engaged in a hands-on, iterative design process long before she met Charles. From 1933 to 1939 Ray lived in New York City, where she studied painting with the abstract expressionist Hans Hofmann, and a number of her accomplished paintings are on view in the show. In 1940, in what would turn out to be a fortuitous move, she went to Michigan to audit weaving classes at the Cranbrook Academy of Art and met Charles, whose marriage to his first wife was dissolving. When Ray returned to New York she and Charles wrote constantly and passionately to each other. Letters and photographs recently discovered among the family's papers document their ardent courtship and the early years of their marriage. Soon after marrying in 1941, Ray and Charles drove to California and settled in Los Angeles where they quickly established strong connections in the city's creative community. While the rest may be history, as they say, the exhibition sheds new light not only on their more than half-century of creative collaboration but also on projects that Ray pursued independently, including covers that she designed for John Entenza's influential Arts & Architecture magazine. The Eames' relationship with Entenza was one of their most meaningful and fruitful connections, resulting in the design (as part of the magazine's Case Study Program) of their own iconic home, which is now a historic landmark visited by more than 10,000 people a year. Among the most enchanting, and least known projects (even to the family, says Hartman) in the exhibition is Ray's design for the main title graphic of Billy Wilder's 1957 film Love in the Afternoon. Ray's love of hearts -- she adorned letters, envelopes, packages, and even parts of Mathematica, the Eames' exhibition for IBM, with them -- is apparent in her explorations of variation after variation of the film's title design. A montage of all the iterations made especially for the exhibition shows that 'many of the L's in Love are similar but none of them is quite the same', notes Hartman. Ray Eames: In the Spotlight is the result of a unique collaboration between the Art Center, the Eames Office, and Los Angeles' Architecture and Design Museum. The exhibition is animated and lively, capturing the magic and spirit of Ray and Charles Eames, their collaboration, and their rich body of work. 'Our family is big on dates,' said Hartman when explaining the genesis for the exhibition. 'There were two exhibitions to celebrate Charles's centennial, and Vitra and Herman Miller joined forces to release special objects to mark the occasion.